Everyone knows that you’re supposed to be drinking eight 8-ounce glasses of water a day. It’s been engrained in our heads since kindergarten, but that doesn’t mean we’ve always followed the rule. Here’s how you can change that, and in-turn, stay hydrated. The Planet Zak water bottle serves as a visual representation of how much water you’ve been drinking that day. 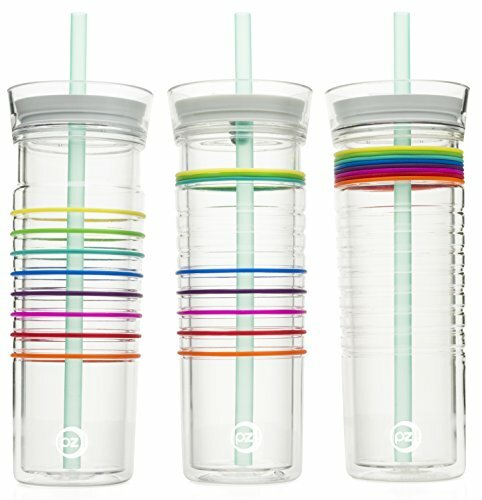 The bottle has eight bands on it to represent the eight cups you should be drinking per day. When you gulp down one cup, move one band up to show that you’ve finished it. You’ll find yourself motivated to move eight bands by the end of the day. This is a noisier option, but it works! Set eight alarms, spaced out evenly throughout your day, and drink a cup of water whenever they ring. It’s a great, constant reminder to drink water! Depending on when you wake up and when you go to sleep, place alarms for even increments throughout your day. If you space it out evenly, you should be ready and thirsty for the next alarm to come! If plain water sounds boring to you, there’s ways you can make it taste delicious. By infusing water with combinations of fruits, veggies and herbs, you can make it taste just as good as sugary drinks! Classic combinations include: strawberry with basil, lemon with mint and watermelon with cucumber. If you always have water to drink, you’ll drink it! “I always carry around a big water cup with me and I drink a ton of water subconsciously! There are tons of cute patterns you can choose from,” says Rachel Petty, a recent graduate from James Madison University, “After getting into the habit, I can’t imagine not doing it.” Carrying around water in a cute bottle is key to having enough water around to drink throughout the day. Your phone is always on you and is a great way to remind yourself to rehydrate throughout the day. 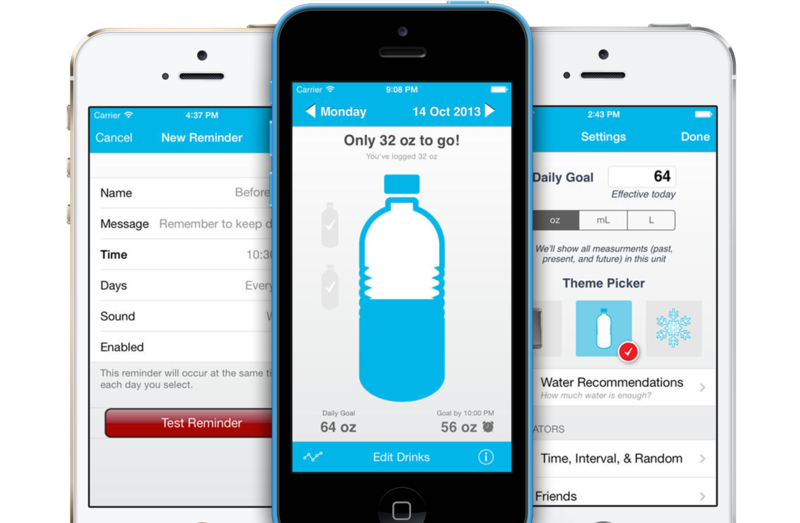 Install apps like Daily Water and Waterlogged to set reminders and track water intake. Daily Water allows you to set your own goal and plan your own “drinking schedule” with reminders. Waterlogged lets you take a photo of the water you are drinking and automatically logs in the right amount for you. Typically, people eat three meals a day and a few snacks here and there. Use this pattern to plan your water drinking accordingly! Drink two glasses per meal and one glass per snack. This way, you will total up eight or more cups of water per day. If you get rid of soda and other unhealthy drinks, you will be drinking much more water. Plus, you’ll be a lot healthier too. By ditching these unhealthy drinks, water will become the only drink you need! Related: Is Diet Soda The Villain, Scapegoat, or Neither? Megan Scavo, a junior at the University of Central Florida, uses a whiteboard to remind her to drink water daily: “Putting a whiteboard on your fridge and writing a reminder to have a glass of water before breakfast is a method I use. I used to never drink water, and this helps a lot.” If you don’t have a whiteboard, you can also easily use post-its around your house to constantly remind you to hydrate. Using these eight easy tips, you’ll be hydrated AF in no time!